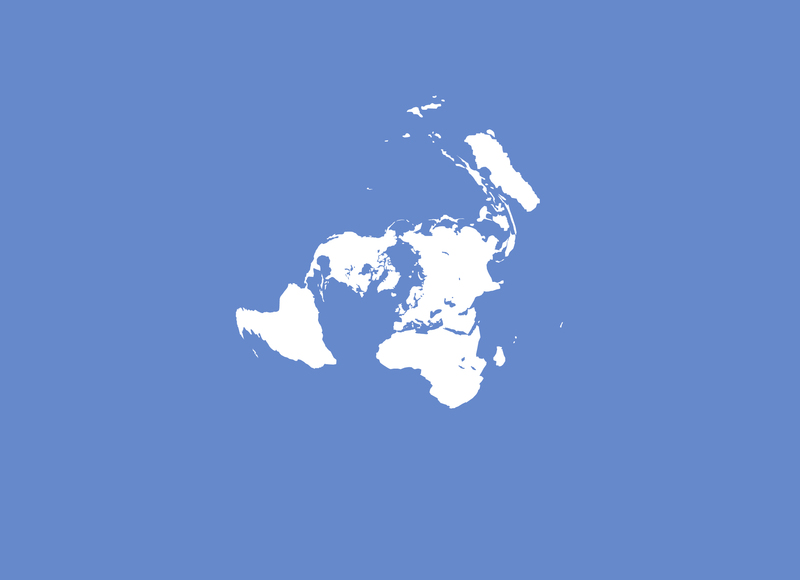 Stripping the United Nations light blue (Pantone 279) flag of its distinctive white olive branches and grid of concentric circles and meridians, lays bare an azimuthal equidistant projection map of the earth. A not so commonly used viewpoint of the world, centered at the North Pole, where no particular nation is emphazised, compared to the standard east-west, north-south flat variety. 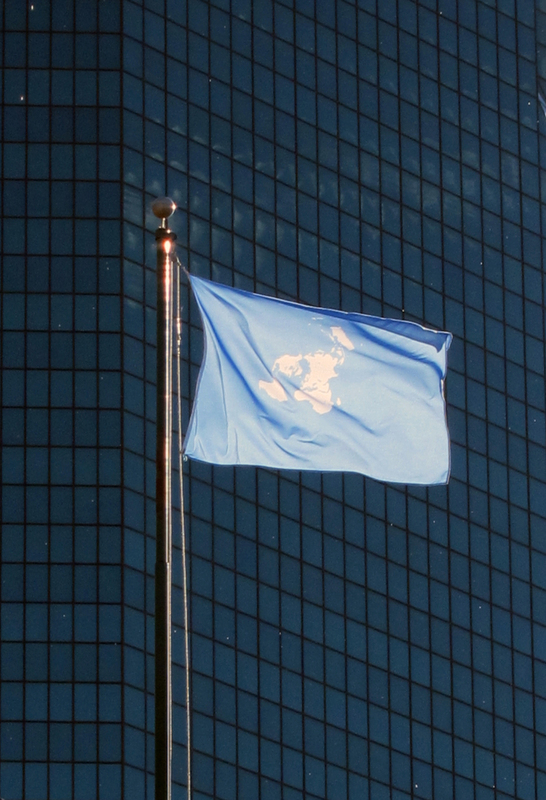 An early version of the UN emblem had North America at the center, but in the current flag (in use since 1947) the vertical center line is crossing the Prime Meridian and the International Date line. Not perfect, as Antarctica is missing (not an area of concern), but still worth a closer UNobstructed look. Commissioned for the exhibition Flag New York City, Performa 13. Also exhibited at Kunsthall Stavanger, Norway, July 6, 2014. Flag installed, New York, November 2013.